Thanks a bunch. This is way cool. 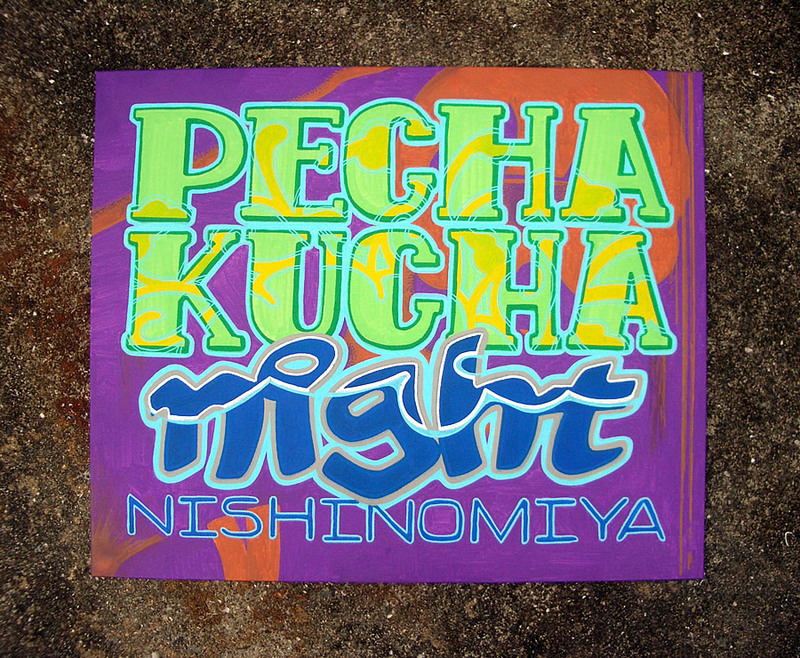 when i decided to contribute a flyer to the 8th pechakucha nishinomiya event, i was captured by the idea of doing some hand-lettering in an old style fun font. i also wanted to make the flyer from a larger-than-life sign that could be used for other purposes as well. 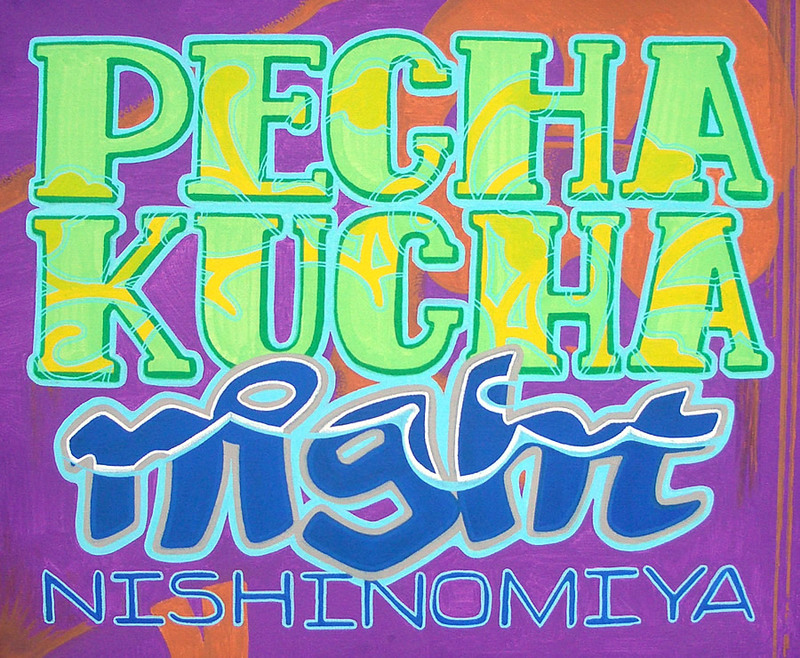 this morphed into a collection of very diverse fonts, patterns, and colors that reflect some of the diversity that is pechakucha nishinomiya. 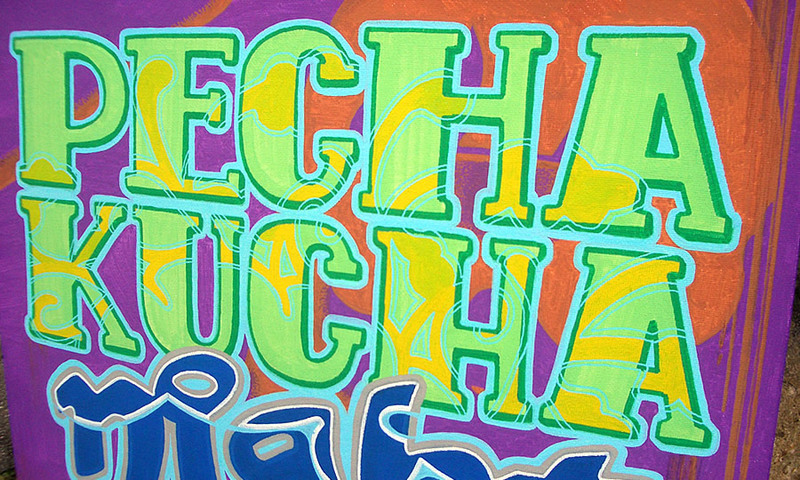 the background of the green letters uses some of the lines and shapes from the pechakucha logo and i brought my wave theme into the freestyle graf style of the word night. 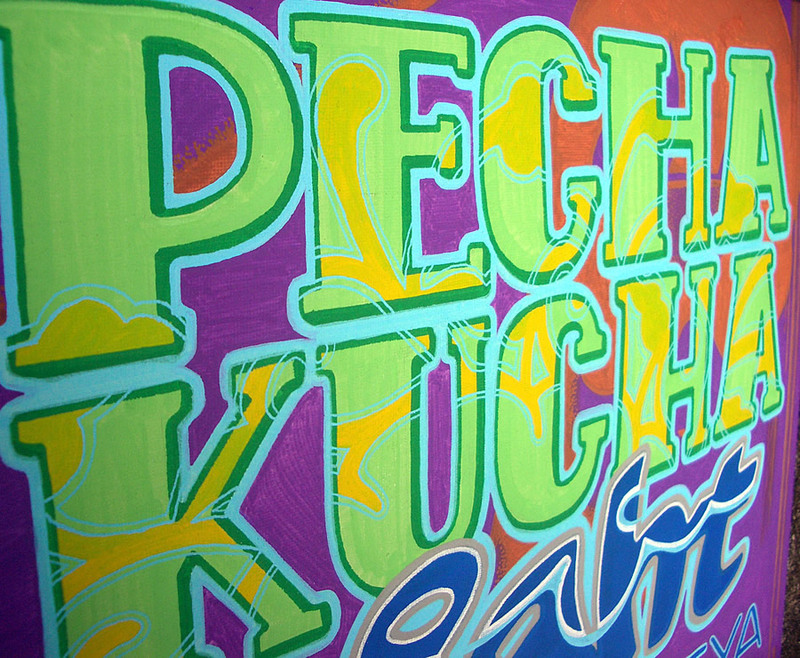 tamaki helped with the art and the color direction and the result is really fun and funky. the finished work was photographed and digitally remixed to create the finished flyer. 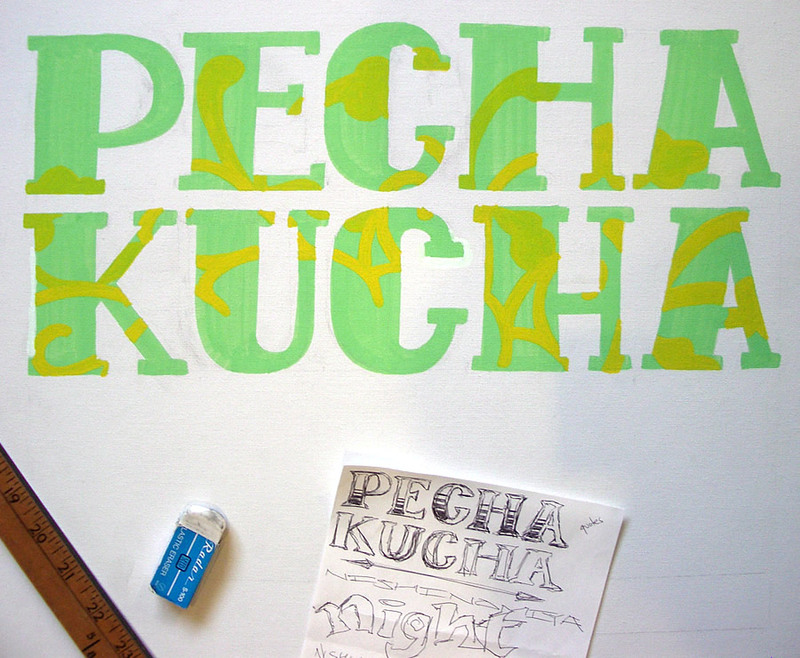 Posted in illustration.Tagged art, design, feature, font, graf, illustration, paint, tamaki.